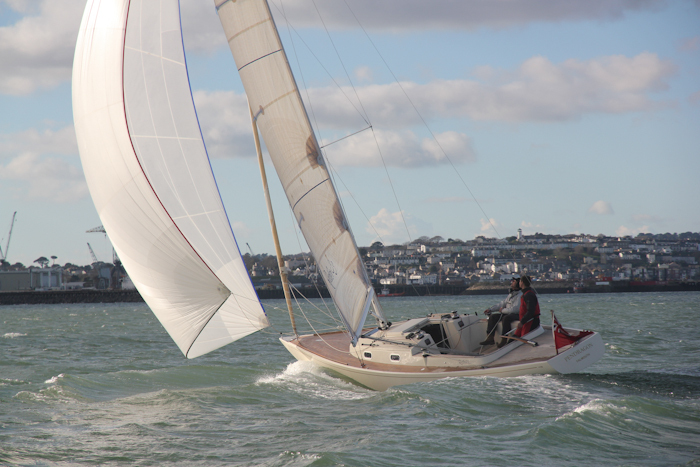 The Rustler 33 is intended to appeal to those for whom the style of their boat is important. However, this is not a re-creation of an old design – the underwater shape and rig is fully up to date, making it an excellent fast daysailer and weekender with faultless manners under sail. 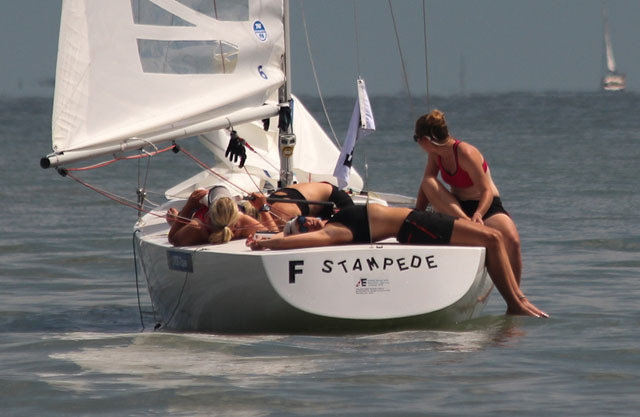 The boat can also be easily raced with a crew of three, without needing anyone to perform gymnastics on the foredeck. A great deal of time went into configuring the boat’s deck gear. The result is the cleanest possible layout – apart from the asymmetric tack line, the only lines visible are those on the coachroof. 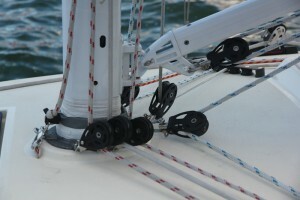 The under deck furling line for instance is led to a cockpit locker, while the adjustable backstay is fixed at the transom, then led to a coachroof winch for adjustment. 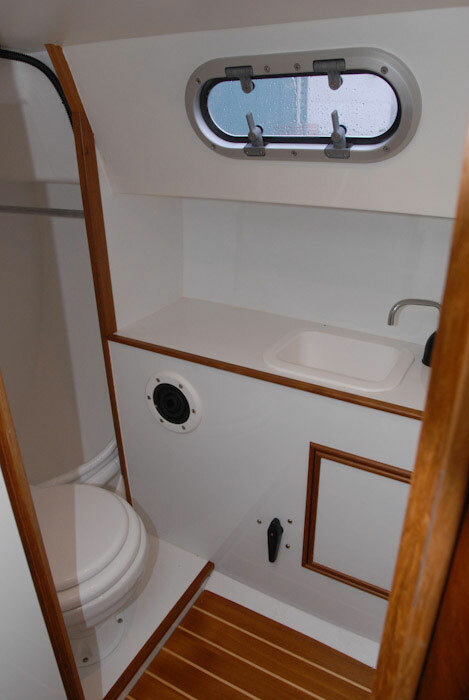 The large, deep cockpit has ample space for five people when daysailing, as well as plenty of stowage, including two large lockers under the seats and a huge lazarette. The tiller is at the aft end of the cockpit, abaft of the rudderstock and connected by a drag link. Although this adds a little weight and complexity it puts the helm in the optimum place in the back of the cockpit. 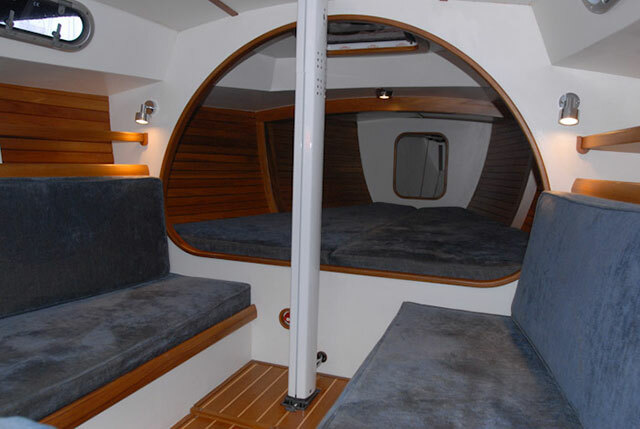 The steering position is super comfortable, whether sat on a cockpit seat, standing at the aft end of the cockpit, or sitting outside the coaming on the side deck. 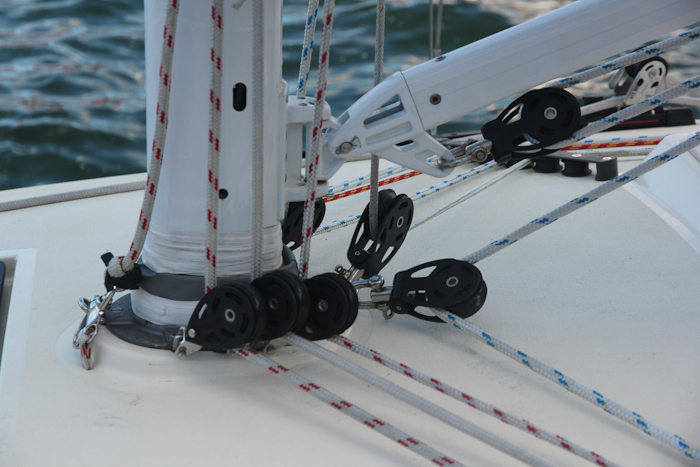 While the boat looks stunning without guardrails, Rustler is also developing streamlined flush fit stanchion bases. 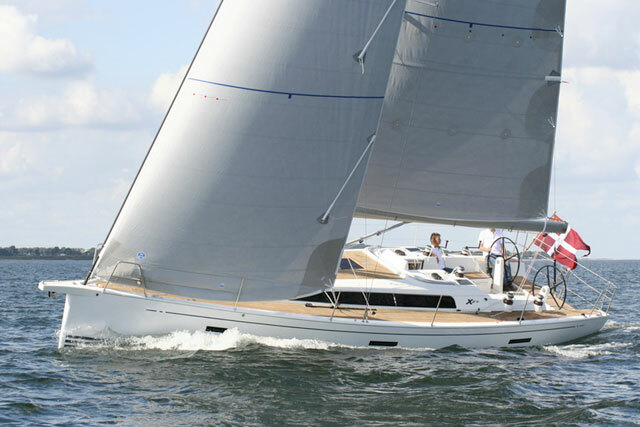 The 33 has a slender keel stepped double spreader fractional Selden rig, setting a large-roached mainsail and jib with minimal overlap. 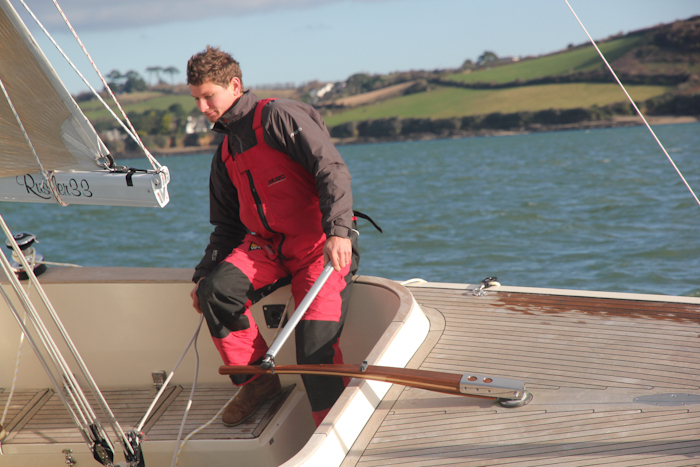 Our test boat was the prototype model, which had a little too much flexibility in the topmast for optimum sail trim. In subsequent boats, however, the taper in the top section of the spar has been reduced by 50 per cent, making this much stiffer. 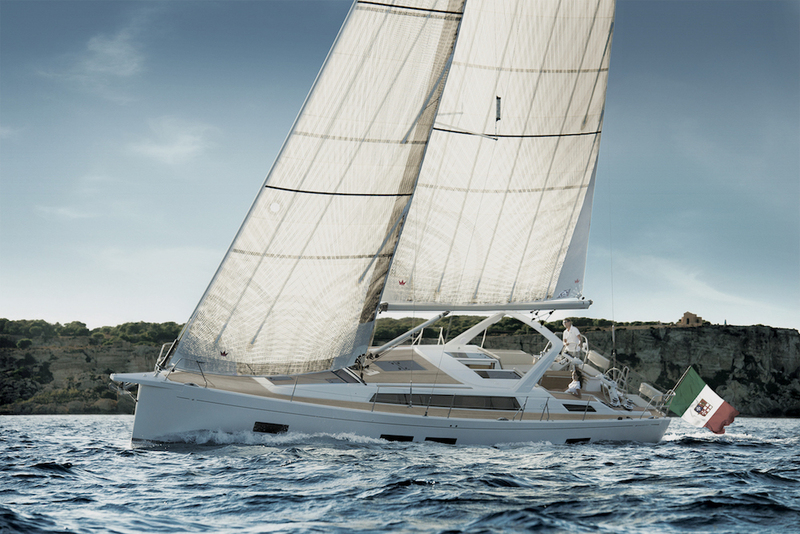 In addition to the ability to use backstay tension to very effectively flatten the mainsail to de-power in a strong breeze, two single-line reefs are fitted. A big asymmetric spinnaker makes it possible to sail deep angles in light airs, yet the sail can be handled entirely from the cockpit. 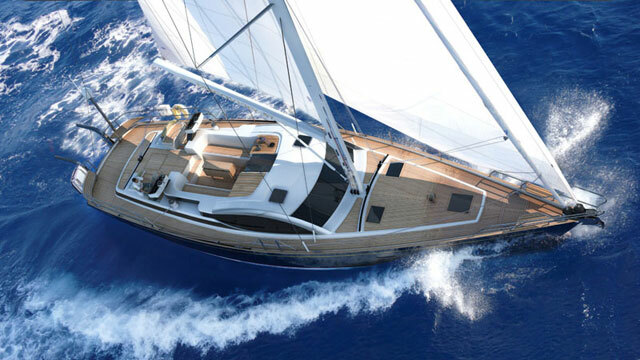 The narrow hull has a relatively short static waterline, minimising frictional resistance in light winds, while a long and flat planing surface aft comes into its own once the breeze rises to 15-20 knots. 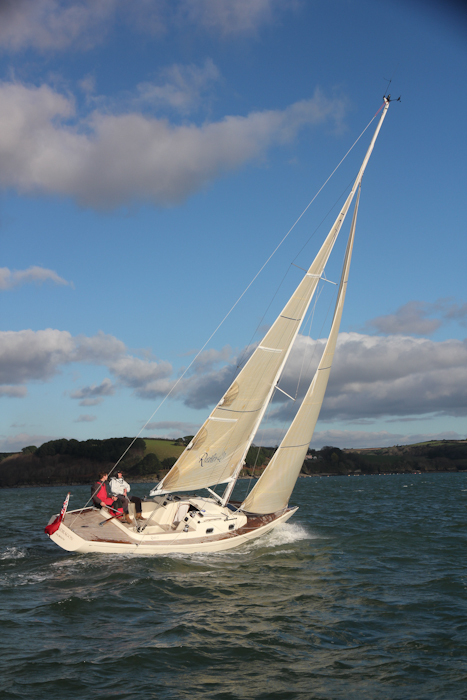 Our test took place from Rustler’s Falmouth, Cornwall factory on a gusty winter's day with a northerly wind averaging 15 knots. Although the narrow hull has little form stability, the low centre of gravity keel provides reassuring stiffness and even if the main sheet was not eased when well overpowered in biggest gusts, the boat simply heeled more, with a barely perceptible increase in weather helm. 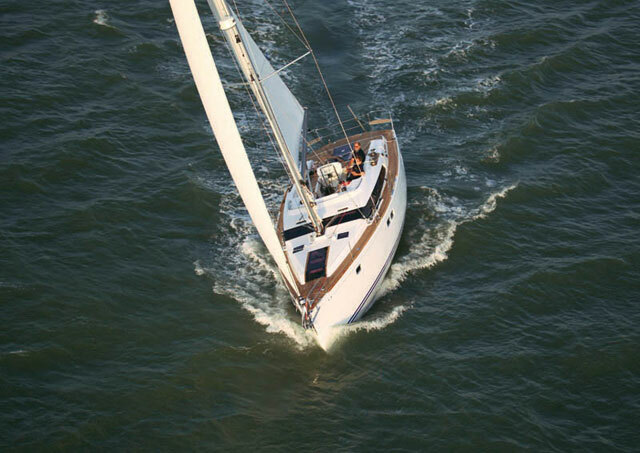 The effective waterline length is significantly increased with the boat heeled and we powered upwind at speeds well over the theoretical hull speed of 6.5 knots – most of the time we were in the mid-7s. The boat was also close winded and it was easy to keep her trimmed to the optimum, despite the gusty conditions. Bearing away and hoisting the asymmetric spinnaker, we did not have enough wind to get fully on the plane, but nudged close to 10 knots in the gusts with effortless control. 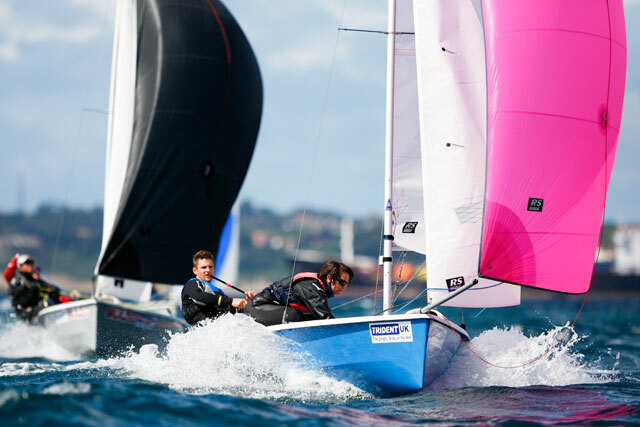 It's clearly a boat that will reward experienced sailors in a big breeze, when rapid planing speeds can be expected. On the other hand, for those who are more timid, without the spinnaker it’s a predictable and easy to handle boat that will inspire a lot of confidence when the wind gets up. This is an all too rare boat that’s designed first as an outstanding sailing vessel, so the fine lines and low freeboard inevitably limit volume below deck. However, the simple, effective layout is ample for weekending with a couple of people and would still be comfortable for the occasional longer trip. There's very generous sitting headroom and two settees on each side of the saloon, the starboard one long enough to make a comfortable sea berth, plus a small galley. Sensibly there is a separate heads compartment, with adequate room to move around and provision to hang foul weather gear. Right forward is a large double bunk, 7ft long and a generous width, even at its foot. The 33 does everything it sets out to achieve really well – it’s enormously fun and rewarding to sail, while providing enough accommodation for comfortable weekending. Another appealing factor is the boat’s efficient simplicity, which makes it easy to maintain and to operate, eliminating as much hassle as possible from the experience of boat ownership. In addition, Rustler has a well-deserved reputation for the high quality of its products and a willingness to spend the time needed to fully understand what each customer wants from their new boat. The most obvious compromise is the relatively limited accommodation below decks. 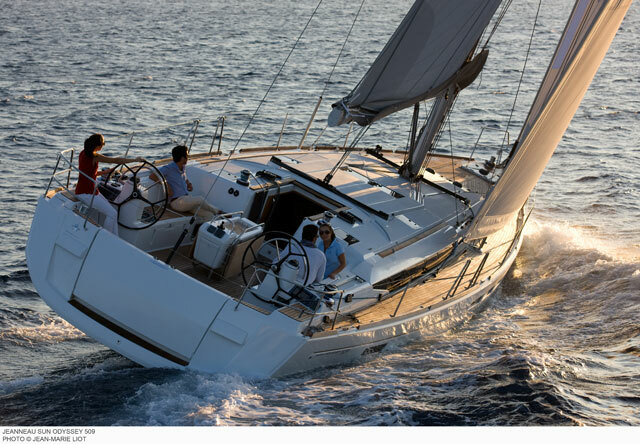 However it suits the style of this boat perfectly and any more in the way of accommodation would simply add weight, bulk and complexity, which would detract from the first-class sailing experience. At this end of the market, emotional decisions play a very important element in the buying decision – the boat has to look and feel right. Perhaps the most obvious (although more expensive) alternative is the Tofinou 9.5, which blends an ultra-modern hull and rig with traditional styling. However, it has a lot less interior space than the Rustler, making it less suitable as a dual purpose boat. 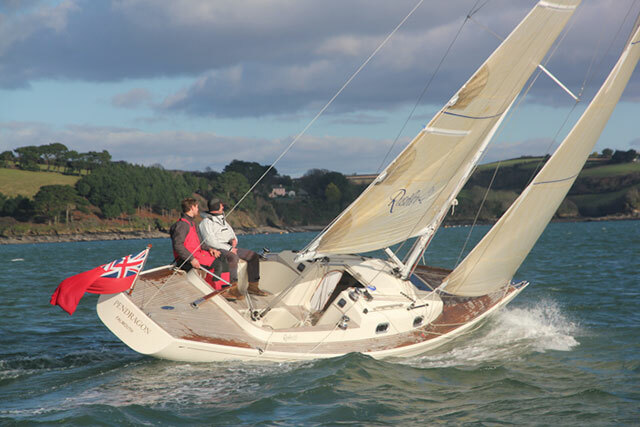 On the other hand, the J/92 is perhaps the alternative boat that would be chosen from a spreadsheet analysis – it too is a great design that does everything the Rustler 33 can at a comparatively competitive price, but without any of the British boat’s distinctive style.